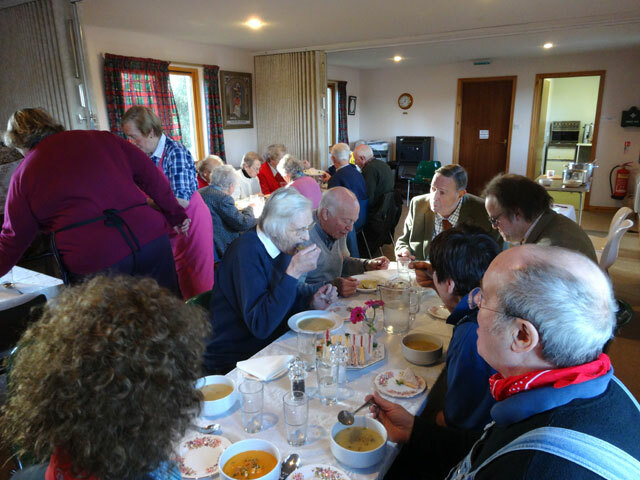 Rose, walked Mix and settled into the Bothy to deal with Presbytery emails and telephone calls before carrying items across to the store in the summer house and then having a shower before driving with Rachel to Gavinton for the monthly Church lunch. On the way home we popped into Tom’s new house to see how work was progressing. It is all going very well. While at May Cottage, I met Simon who is a plasterer and who agreed to come and have a look at the Hen House with a view to doing some plastering for us. 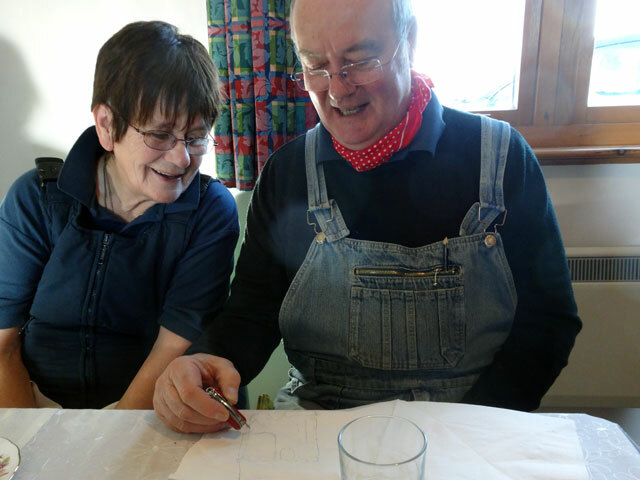 David came back to Mount Pleasant with us to advise us on some of the work which is outstanding (and to repair a vacuum cleaner and take away a tape recorder to repair). I continued to clear away items from the spare room. The table went across to the Bothy and I worked through until Simon arrived soon after half past four to give me a quote for the work I want done. I enjoyed meeting him enormously and soon Tom joined us for coffee and a chat. It seems that the professional view is that for amateurs we haven’t done too badly with our plaster-boarding (but we should have known to fit the board into the channels around the skylights, and putting in boards backside forwards is a definite no-no). After dinner, I did some more work but then capitulated (so I haven’t finished as I said I would yesterday – but I feel that I have made giant steps forward today) and spent the rest of the evening watching television (two episodes of Smiley’s People from 1982) in front of the fire (it is very cold). You get to do that when you are retired.